The Club was formed in 2009 and in 2010 accepted for affiliation by the Kennel Club. The objects of the Club are to encourage and promote interest in the breed, and watch the breed's interests paying particular attention to the original function of the breed, the country of origin and its Breed Standard and to organise and support shows under the Kennel Club's Rules and Regulations. Membership has grown steadily over these first years and at the present time there are more than eighty members. The committee is formed by seven members all dedicated to protecting and furthering the breed in the UK. The three officers at the present time are the Chairman, Sally-Anne Thomas, a former BBC journalist who owns two UK bred Cirnechi, the Secretary, Jane Moore, an Animal Behaviour Consultant and Cirneco breeder in Italy for more than twenty years and in the UK since 2003, and the Treasurer, Debbie McDonnell, trainer and owner of 3 Cirnechi. 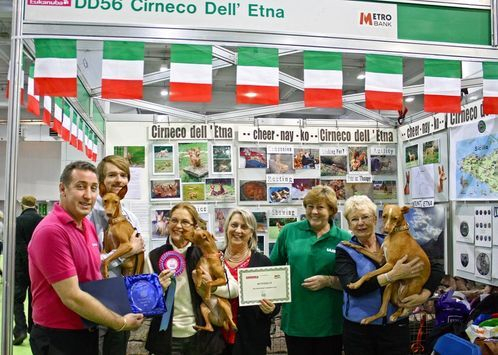 Since 2002 a booth at Discover Dogs has been made available for the Cirneco twice a year. The booth was set up and manned by breed enthusiasts until 2010 when it was taken over by the Club. It has proved to be invaluable tool for promoting the breed and at the Earls Court edition of Discover Dogs in 2012 the Club Booth was awarded the prize for runner up best booth out of the nearly 200 present. 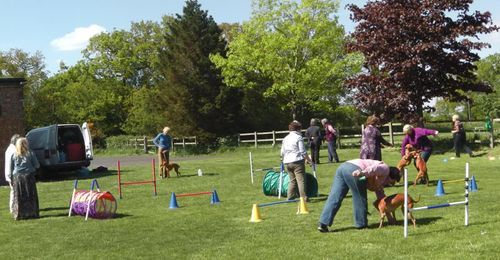 Each year, following the Club AGM, fun activities are organized for dogs and owners and there’s an educational presentation involving the breed. We’ve had lectures on breed history, the standard, agility and principles of genetics and behaviour.